Brno Main Railway Station [Hlavní nádraží], located in the heart of the city, is one of the oldest railway stations in Central Europe, dating back to 1838. To begin with, it was used for trials and exhibitions, before becoming fully commercially operational on July 7, 1839. Nowadays, the station has four platforms, six lines, and two terminal platforms, serving hundreds of people daily. In December 2018, the Railway Infrastructure Administration launched a full renovation of security equipment and technology at Brno Main Railway Station. These works are scheduled to limit services to the central station for one year. The Central Committee of the Ministry of Transport announced that the new Brno Central Station will be located next to the Svratka River last year (2018). The idea of moving the railway station to a new location first emerged in the 1920s. 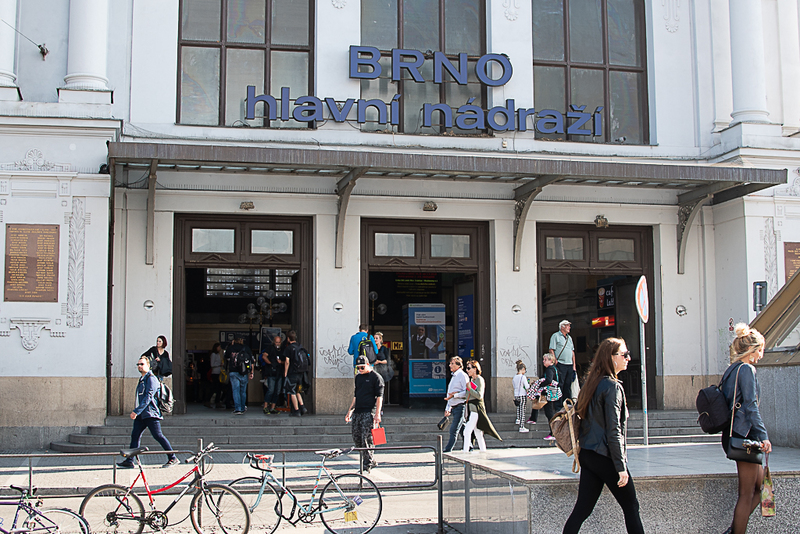 The citizens of Brno had already expressed their opinions on the location of Brno Central Station in two referenda (2004 and 2016), as well as an opinion poll in early 2018. 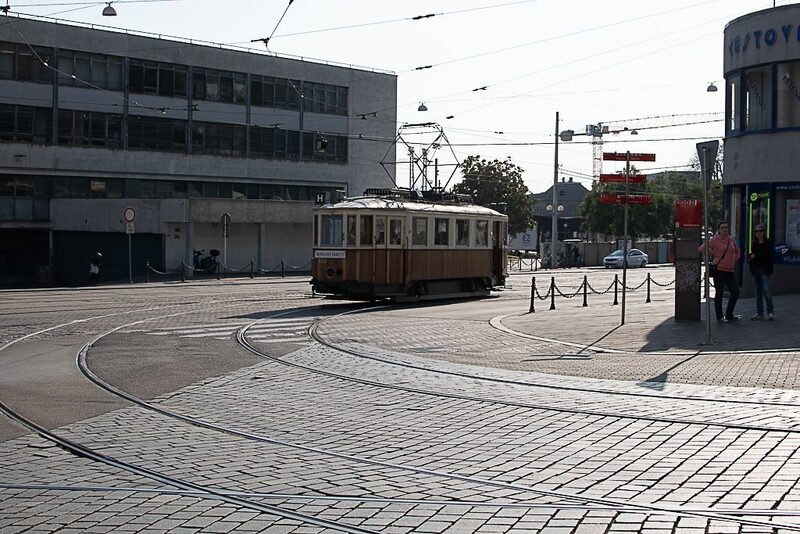 Both referenda (deemed invalid due to the low turnout), and the opinion poll favoured the station’s current location bordering the historic city centre to the south. Brno residents also voted for the name of the new station, choosing from ten pre-selected options. The process of choosing the new name ended on the 100th anniversary of the establishment of the independent Czechoslovak Republic in Ocotber 2018. “Brno-Šalingrad” was the winner of the public vote, a parody name based on “šalina”, the word for “tram” in the local Brno dialect. However, the Railway Infrastructure Administration will have the final say on the name of the proposed station. Brno Hlavní nádraží is situated in the city centre, within walking distance of the most important historical and interesting buildings of the city. 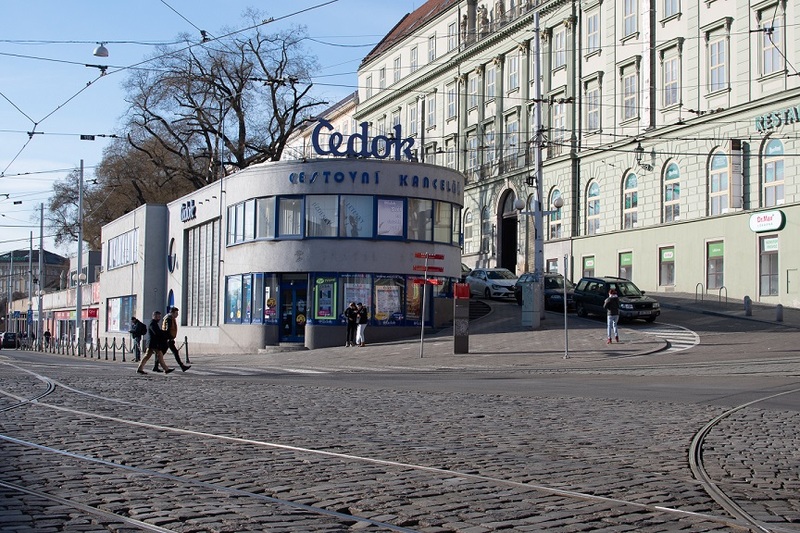 The “ČEDOK building”, an unconventional semi-circular building under Petrov, now home to the Čedok travel agency, was designed in 1928 by Oskar Poříska. Photo: “ČEDOK building” and Padowetz. Credit: KK. Padowetz Palace is the building facing the ČEDOK building on the corner of Masarykova and Bašty. 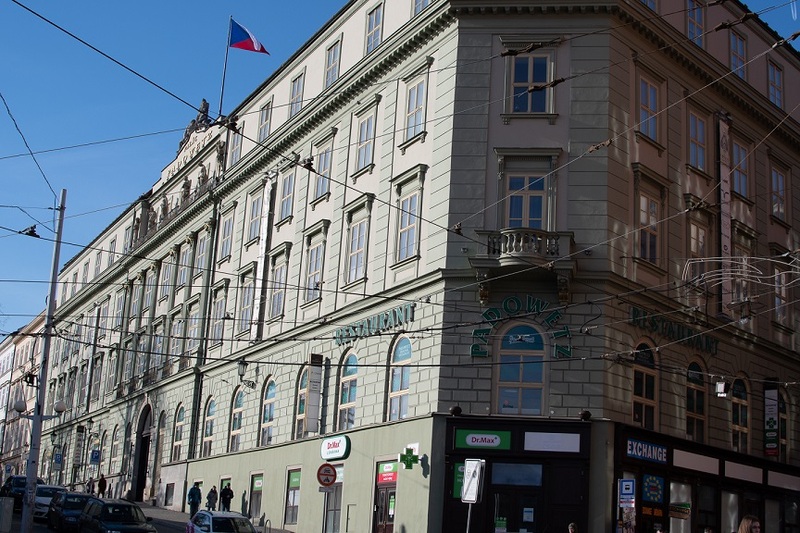 This building was built between the years 1838-1839 by Lorenzo Padowetz, as the first hotel in Brno. Like many buildings in the centre of Brno, Padowetz Palace was built in a Late Classical architectural style, decorated with numerous antique elements on the pillars and facades. It is protected as a cultural monument of the Czech Republic. Photo: Padowetz Palace. Credit: KK. The functionalist Post Office building, designed by Bohuslav Fuchs in 1937-1938, is located next to the Art Nouveau railway station. The location and technology of this multi-purpose building was deliberately designed to be very flexible, anticipating frequent future interventions and possible expansion. This building is proof of the fact that functionalist buildings need intense care, as the exterior of the building is rather rundown. Photo: Post Office at Hlavní nádraží. Credit: KK. 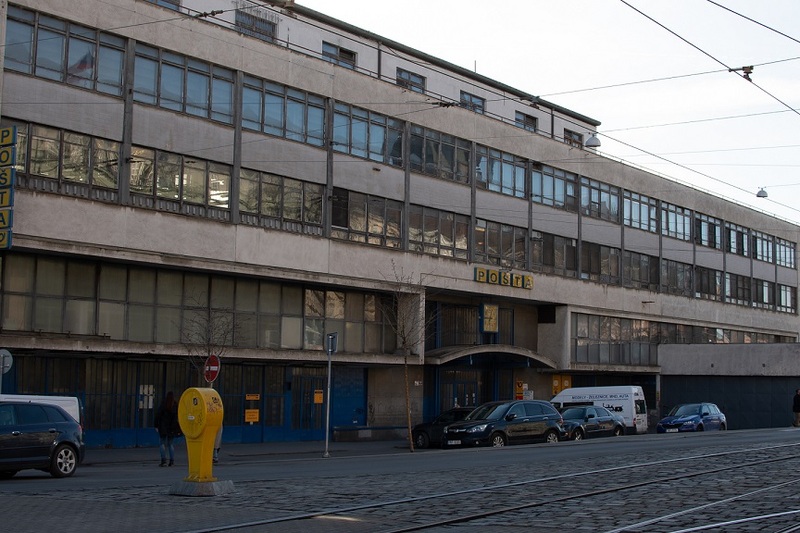 Photo: Post Office on the left, “ČEDOK building” on the right. Credit: @BrnoDaily. The Brno Grand Hotel is situated in the historical centre of Brno, close to the main railway station. 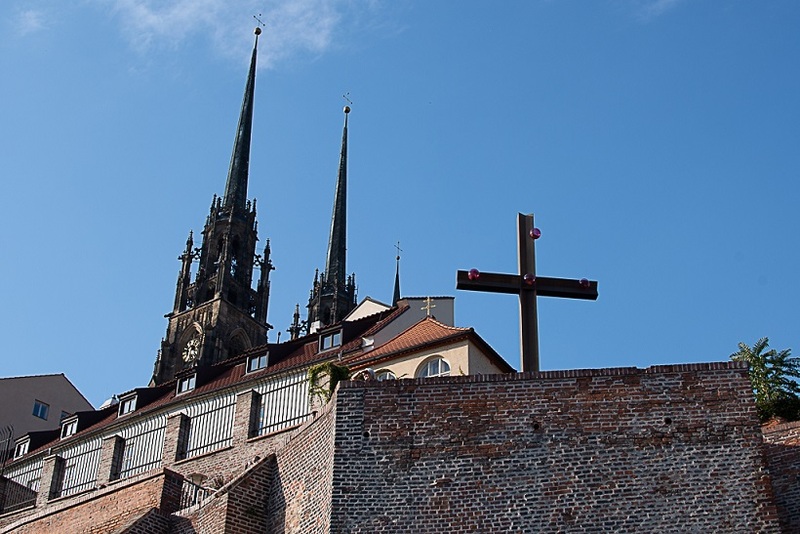 It was established in 1870 and is one of the most famous meeting points in Brno. 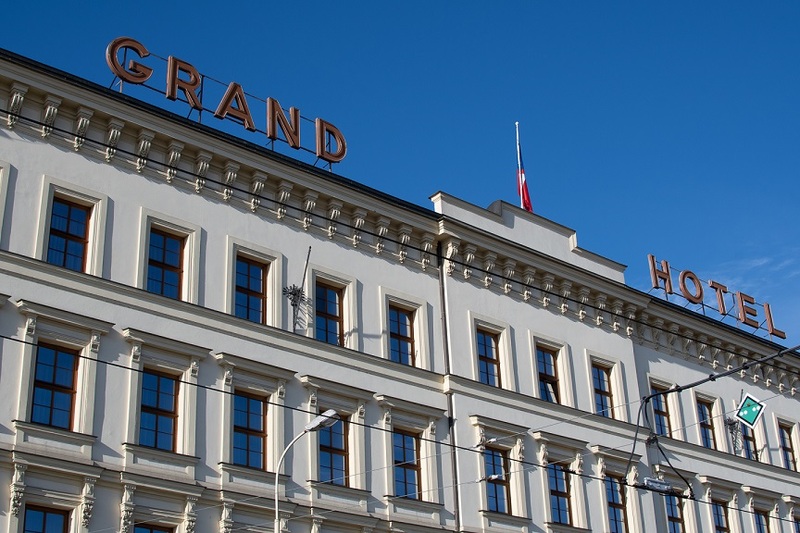 The Grand Hotel entered into Brno’s history books when a cinematography performance was held in the hotel’s Moorish Hall, just seven months after the first cinematography performance in the world. Photo: Brno Grand Hotel. Credit: KK. Photo: Brno Underpass, known in Brno as “Myší díra” [“Mouse Hole”]. Credit: Casadei Graphics. 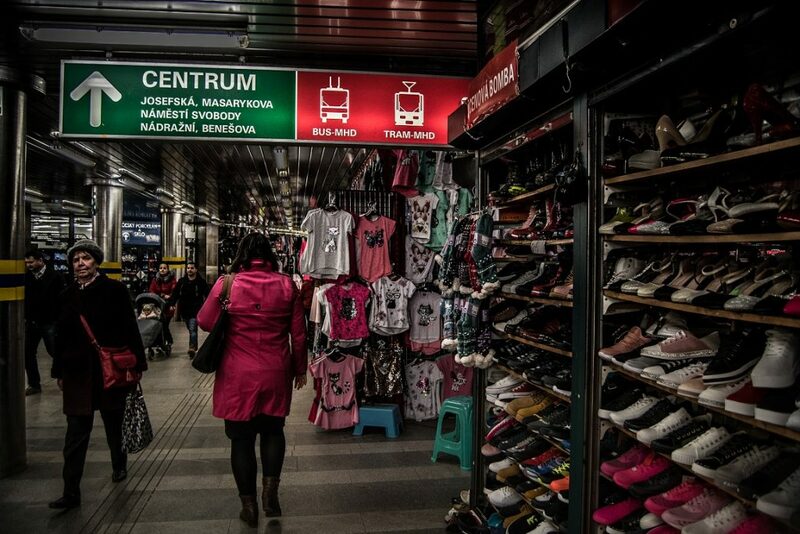 The train station, the Grand Hotel bus station and the main tramway are connected by an underpass leading to the LETMO shopping center, which has two underground and eight overground floors and is home to more than 50 shops. Some 35,000 people walk through LETMO every day. The building was opened in 2013. 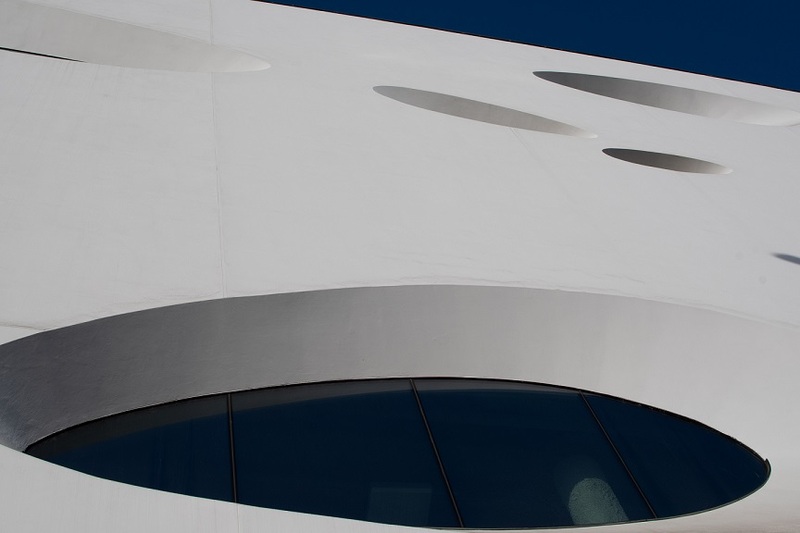 Its non-traditional facade catches the eye of every visitor, and has thus become the subject of public criticism, like many other buildings and public monuments in the city. Photo: Facade of the Letmo shopping center. Credit: KK. The Old Station Building, also known as ‘‘Malá Amerika’’ [Little America] at Hybešova 1 was built between 1894-97 during the reconstruction and extension of the station. The former warehouse was, both architecturally and technically, the creation of Wilhelm Asta and Hartwig Fischel, who were both technical staff of the Northern Railway of Emperor Ferdinand. It was built using a combination of unfinished bricks and decorative stucco elements, typical of the Late Historicist style used for industrial buildings. At that time, the overall design was highly appreciated, in particular, for the unusual ramp structure resembling a saw. Little America originally served as a dock between the city and the railroad. Exotic goods were once transported by train to the “Little America” building from major European ports, but this period of the building’s history has long passed. Since 2014 the building has been used as a venue for various cultural events and food markets. Malá Amerika is recognized as a cultural monument by the Czech National heritage institute. Photo: ‘‘Malá Amerika’’ [Little America]. Credit: @Brnodaily. 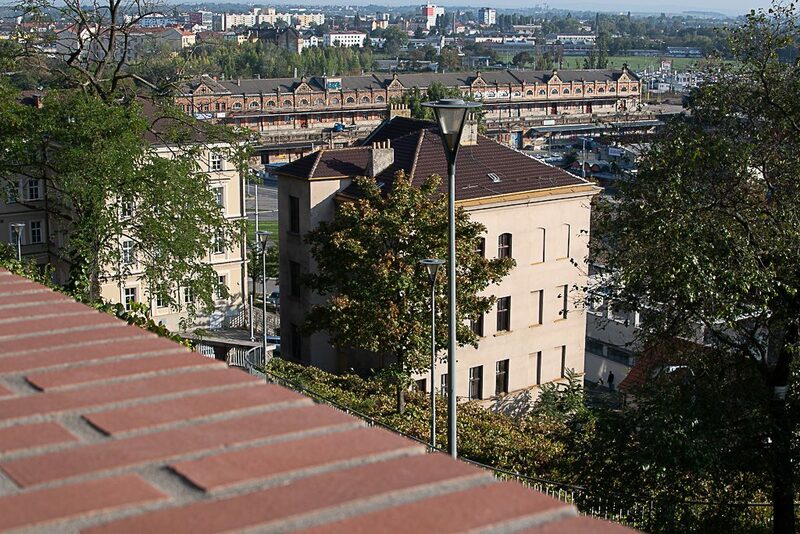 Denis Gardens [Denisovy sady] is a park with a charming view of Brno and its surroundings. The park was originally named Františkov, before it was renamed in 1919 as a tribute to the French historian Ernest Denis, who helped with the foundation of Czechoslovakia. 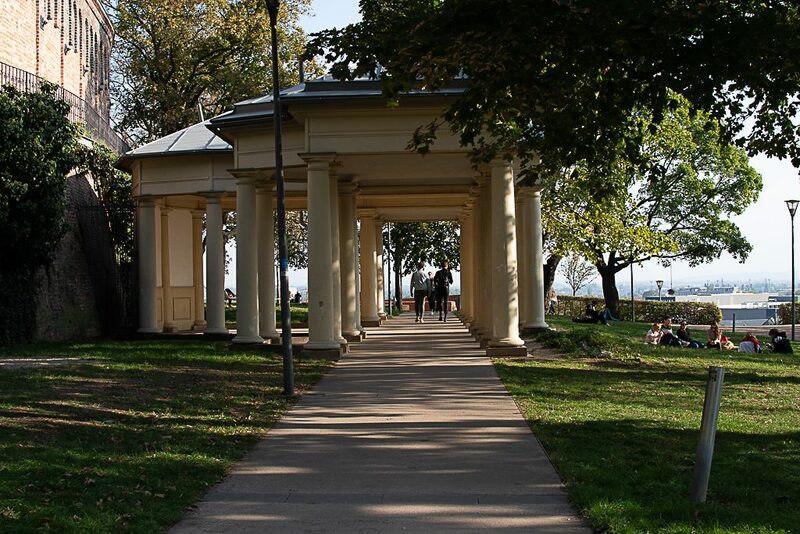 This city park stretches between the city centre and Husova, across the slopes of Petrov hill, and contains a colonnade with a fountain and obelisk to commemorate the end of the Napoleonic Wars. Photo: Denis Gardens. Credit: @BrnoDaily. A cross was erected to commemorate Pope Benedict XVI’s visit to Brno in 2009, on the south-eastern side of the Petrov hill overlooking the Central station.